Join us for the 2019 AMTA-CA ANNUAL CONFERENCE AND BUSINESS MEETING! 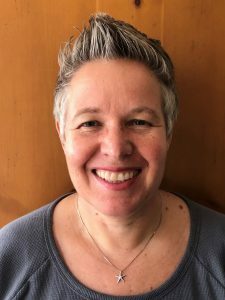 Tami A. Goldstein is certified in Upledger CranioSacral Therapy (U-CST) from the Upledger International Institute, Board Certified and an approved continuing education provider through the NCBTMB. She has been a Wisconsin license massage therapist since 2004. Ms. Goldstein owns and runs A Therapeutic Touch by Tami, LLC. She has fourteen years’ experience as a therapist, advocate, international speaker, and educator of bodywork specializing in individuals on the autism spectrum, and or neurodevelopmental disorders. She’s the international award-winning author of “Coming Through the Fog,” an autism recovery journey, a contributing author in Cutting Edge Therapies for Autism (2014 Edition), and other books & publications. 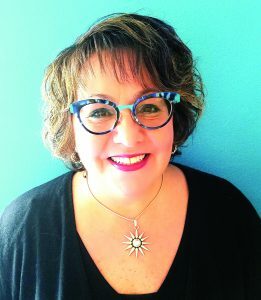 Ms. Goldstein is a 2018 World Massage Festival Hall of Fame inductee, the founder of Wisconsin for Vaccine Choice and the parent of an individual with recovery from autism. Massage Therapists are in a position to provide hands-on work to individuals on the autism spectrum. The current autism prevalence is 1 in 59 children. To effectively work with those affected by autism, you need to understand the unique and varied presentations. This course will provide; education about autism and tools for effective therapy: education on how different touch modalities address sensory systems in the body, how understandings and individual’s particular presentation of their disability can lead to successful and beneficial therapy sessions, tools for preparing the therapy environment and example of pertinent additional health intake questions will be shared. The course will also cover neuroanatomy and the differences between a neurotypically developed brain and the brain of a child with autism. Learning and understanding autism, its characteristics, and how SPD (Sensory Processing Disorder) impacts the individual will prepare the massage therapist for success when working with clientele. The course instructor will use her extensive background working with this population both personally and professionally and will combine storytelling with role-playing and group activities to air instruction. Julie Porter has two occupations she loves, and both involve helping people. She is a registered nurse, now for 26 years and a massage therapist since 2006. She graduated from the San Jose campus of National Holistic Institute. Julie opened a private practice in Campbell after graduating from NHI. She taught for the National Holistic Institute for 9 years, including the Advanced Neuromuscular therapy program for her last 6 years with NHI. Seven years ago, she became very interested in pain science and education. This led to co-founding the Institute of Manual Neuroscience with Dr. J. Rockwell. This is an educational company that provides continuing education for manual therapist based on scientific support. Julie currently has a private practice specializing in persistent pain. This is a fun fact filled four-hour class in which we will explore key concepts around current pain science. We will briefly discuss the history of pain science. We will look at the difference between chronic versus acute pain. We will delve into some common questions around Pain, that our clients have; “why does it hurt if I haven’t injured anything?” or “No gain without pain right”. We will examine the role of our nervous system, as Pain is an output of our nervous system. We will look into current research about pain. Why take this class? A top reason why clients come to see you is to get help with an issue, most likely pain related. As a massage therapist be current on key concepts, that can help your clients. A key theme in this class is, how to get clients to understand and help themselves with their pain. 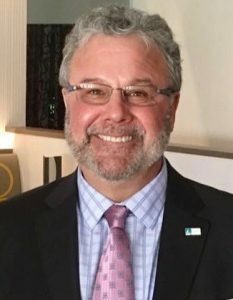 Jeffrey Forman Ph.D. BCTMB, CMT- Retired as professor and massage program coordinator- De Anza College Cupertino, California, he continues his career as a speaker, author, consultant, and researcher. The AMTA California Chapter named him the 2017 Educator of the year. He is vice chair of the California Massage Therapy Council (CAMTC) and chair of the CAMTC’s schools advisory committee. He is also a certified advanced HawkGrips IASTM practitioner and instructor. His most recent book is “Managing Physical Stress with Therapeutic Massage” Cengage Learning (2007). His most recent research is the project “The effects of a therapeutic massage with and without a Pain Relief kit on pain, and function among individuals with low back pain” Jeffrey Forman Ph.D. BCTMB, Lynda Solien Wolfe LMT, Kara Solem, BS, RN, Robert Topp, RN, PhD., 2017. Instrument Assisted Soft Tissue Mobilization (IASTM) is an advanced form of myofascial mobilization, similar to deep-tissue massage. It is primarily used to detect and release scar tissue, reduce pain, increase flexibility and improve circulation. IASTM can be used to provide force to a broad area or focus force on a specific area. It is highly effective in treating tendinopathies and speeding up the rehabilitative process. This technique is not intended to replace the hands but to supplement and enhance treatments while reducing fatigue and strain on the therapist. The class will cover IASTM theory, indications and contraindications and how to use and care for the tools. Students will also experience how to properly use the tools for self-care and on clients. Demonstration and practice will include as time permits the fingers, thumb and hand, forearm flexors and extensors, common flexor and extensor tendons, biceps and triceps, knees, ankles, feet, neck, and shoulders. In addition, if you have not made hotel arrangements yet we encourage you to stay at the conference hotel, The Hilton, here: http://www.hilton.com/en/hi/groups/personalized/S/SMFHIHF-AMT-20190315/index.jhtml or you can call 1-800-HILTONS (445-8667). We hope you are planning on attending the conference! Stay tuned for more details. If you have any questions or concerns, please contact our office at 916-382-8542 or info@amta-ca.org.